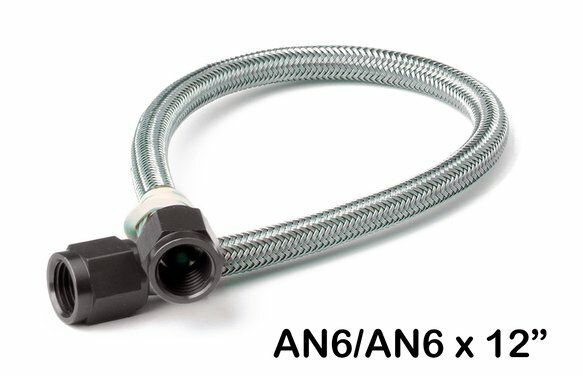 NOS premium grade stainless steel braided hoses are now available with black fittings to complement our other black NOS accessories. These hoses come preinstalled with -3, -4, and -6 fittings in various lengths. They are all PTFE lined to withstand high pressures and provide high flow with a stainless steel outer covering for strength and resistance to abrasion. All NOS lines are configured for a superior flow to strength ratio.